What Are The Advantages of Industrial Cladding? Industrial cladding is one of the most important aspects of the building or renovation process for industrial properties. While the need for this particular method of external reinforcement is generally less immediately evident than the need for adequate industrial roofing, for example, the truth is adequate industrial cladding can play just as important a role in ensuring the longevity and protection of an industrial property. This is why industrial roofing and cladding experts, such as the ones working for Valent Roofing, tend to advise their customers to devote as much attention to their cladding as they generally do to their roofing. It is essential that factory owners and industrial property managers are aware of how best to go about choosing and installing industrial cladding in their newly-built or refurbished buildings; and yet, more often than not, specialists working for companies such as Valent Roofing find these types of professionals have but a passing notion of the importance of cladding to the longevity and protection of an industrial property. Indeed, one of the most frequent questions the team here at Valent Roofing gets asked by both existing and prospective clients has to do precisely with the role cladding plays in an industrial building, and the reasons why specialists recommend it be installed in such a facility. That is why we have taken it upon ourselves to dedicate this month’s blog post to answering that question. 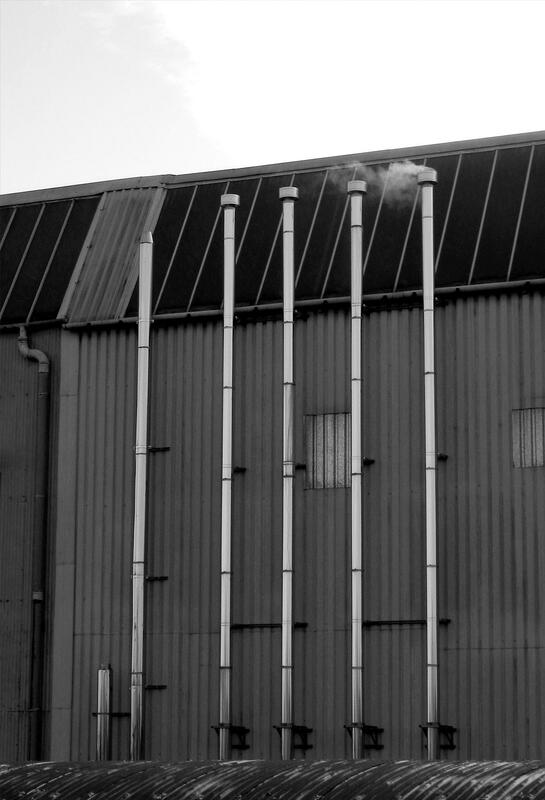 The lines below will go over the benefits carefully chosen and adequately installed industrial cladding can have in terms of protecting an industrial property from external factors and prolonging its lifespan. What are the advantages of industrial cladding, then? The paragraphs below hold the answer! The first way in which industrial cladding can impact an industrial building or facility is by prolonging its longevity and lifespan best site. Being more often than not located on the outskirts of large towns or in isolated areas in the countryside, industrial buildings are even more subject to wear and tear deriving from external factors than commercial or residential properties located within urban areas. The average industrial building is subject to such damaging external agents as weather conditions and wildlife, and with materials such as brick or stone being quite easy to damage, many industrial buildings begin to appear run-down only a few years into their lifespan. Industrial cladding is a good way of preventing, or at the very least minimising, this effect. The characteristics innate to most of the common types of cladding available on the market ensure they retain a relatively sleek, well-kept appearance even over the course of time, and as a result, contribute to make any building they are applied to appear in better condition than it might have done without outward cladding. The impact industrial cladding has on the outside of a building is, however, more than simply aesthetic. As noted above, certain types of cladding panels actively protect the walls of a building from elemental wear and tear, as well as any other damaging agents, effectively ensuring the premises enjoy a longer lifespan. Not only that, cladding panels are easier to maintain and care for than traditional building materials, which can also positively impact the longevity of industrial premises. It is, therefore, easy to see how the installation of adequate industrial cladding can impact the durability and lifespan of the exterior of an industrial building; however, this method also has considerable impact on the inner area of a property, and that impact will be explored in the lines below. Even more so than for increasing the longevity and durability of the outside walls of a factory or industrial installation, industrial cladding is renowned for the protection it offers to the inside of this type of building. As noted above, industrial buildings tend to be set in out-of-the-way areas, and as such, exposed to the elements, as well as a number of other external damaging agents. These have an impact not only on the outside, as described above, but also on the inside, namely because repeated wear and tear deriving from atmospheric conditions or wildlife inevitably leads to such issues as breaches, infiltrations and damages to the structural integrity of the building. The reason industrial cladding is considered such an important asset to these types of buildings is because it can prevent this type of issue. Appropriate cladding, carefully selected to cope with the circumstances and conditions each building faces, can offer an additional layer of protection and insulation to a building, therefore reducing the risk of breaching or infiltrations occurring, and thus also the risk of damage to the interior of the building. This is particularly important insofar as the interior areas of industrial premises tend to house items of heavy machinery, highly specialised appliances and often technologically advanced devices, all of which are vulnerable to infiltrations, mould, or any other damaging agents resulting from wear and tear to the outside walls of the building. Industrial cladding thus plays a major role within the construction or renovation process, often spelling the difference between a durable, safe industrial building and one which will rapidly become run-down and prone to infiltrations or structural damage. This, in turn, constitutes another reason why factory managers and industrial real estate owners should pay particular attention to this aspect when building or renovating their property. The lines above have sought to give an overview of the many ways in which industrial cladding can help preserve the outer condition and structural integrity of factory buildings and premises, and of the advantages of considering this option when building or renovating industrial property. What are the advantages of industrial cladding, then? As the article above has demonstrated, this type of material is beneficial not only from an aesthetic perspective, but most importantly, where insulation and protection of the structure itself are concerned. In other words, not only will industrial cladding allow a building to look better for longer, it will also actively contribute to protect its structure from the effects of the elements, and minimise the risk of leaks, cracks and other structural damage deriving from natural wear and tear. When those functions are taken into account, it becomes easy to see why industrial cladding is worth investing in; we can only hope this article has contributed to make more industrial property managers aware of the benefits this type of technique can bring to their premises, and motivated them to invest in it!